We’re Trying by nature Grain-Free! What Did We Think? 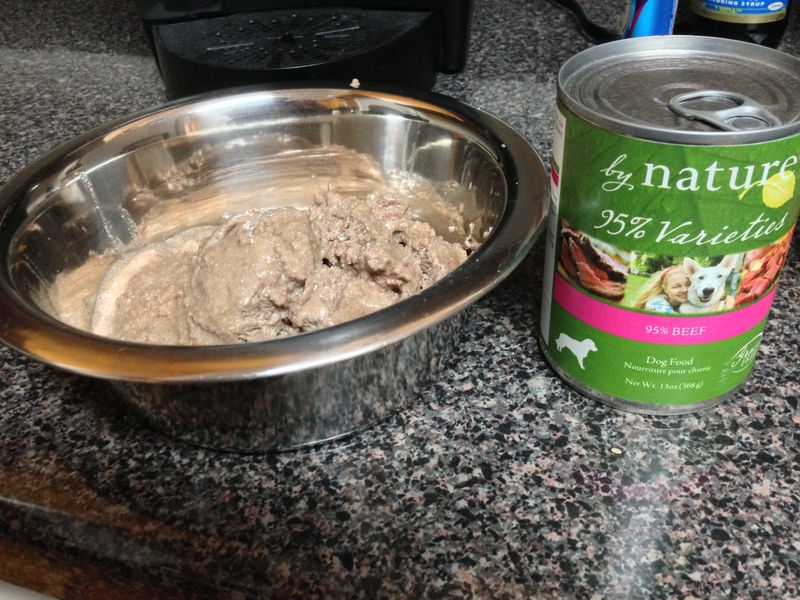 We were asked to review the by nature 95% meat grain-free canned food. If it were up to the dogs, we’d try anything and everything sent our way. But with DeDe’s special dietary needs, I have to be careful what we try. 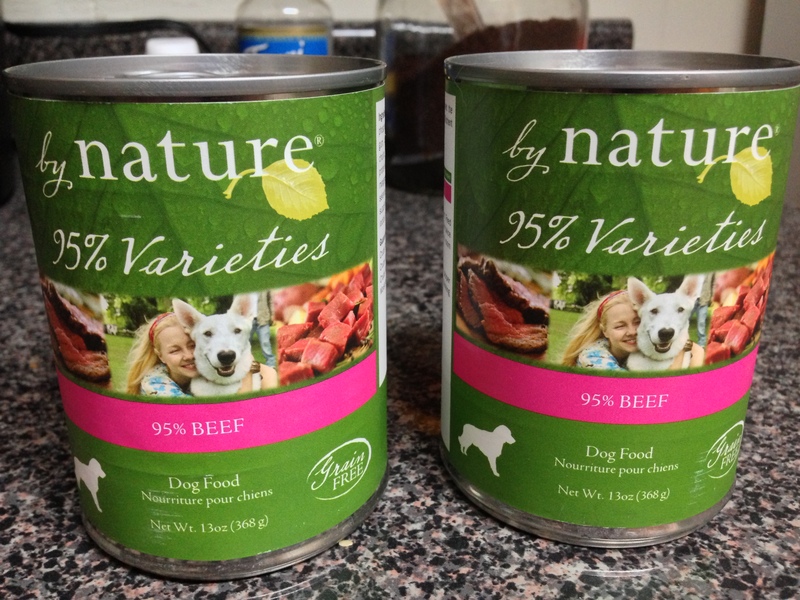 by nature grain-free food for dogs. By nature is a part of the Blue Seal Feeds Company of Massachusetts. Blue Seal Feeds began in 1868 as a grist mill, and has since grown to a company that manufactures foods for all sorts of animals. By nature offers a variety of food choices for dogs and cats, including organic food, natural food, and grain-free canned foods. I must say that as soon as the can was opened, the whole gang was excited, including the cats. Fortunately there’s no food aggression here. What do I like about by nature? They offer a grain-free, poultry-free variety that DeDe can eat. You wouldn’t believe that there are still so few choices for a dog with special dietary needs such as hers. I like the list of ingredients. I don’t see by-products listed. And absolutely no grains. 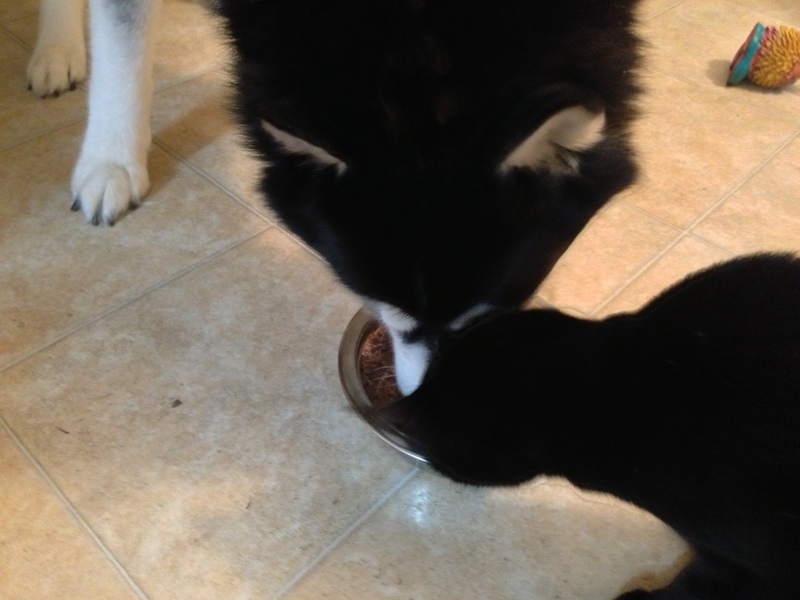 The dogs love the food. Need I say more? According to their search option, the closest retailer in my area is 80 miles away. However, their products are offered online. Yay! Food our DeDe can enjoy! Feeding by nature grain-free won’t come cheap. Chewy.com lists a case of 12 cans for $17.99. Rumpy would require 3-4 cans per day. But for those of you who, like me, choose to supplement their dogs’ dry diet with occasional wet food, this is an enticing option! So have you tried any of the by nature products? What did you think? Never heard of it but I am glad you guys are enjoying it! Thanks! 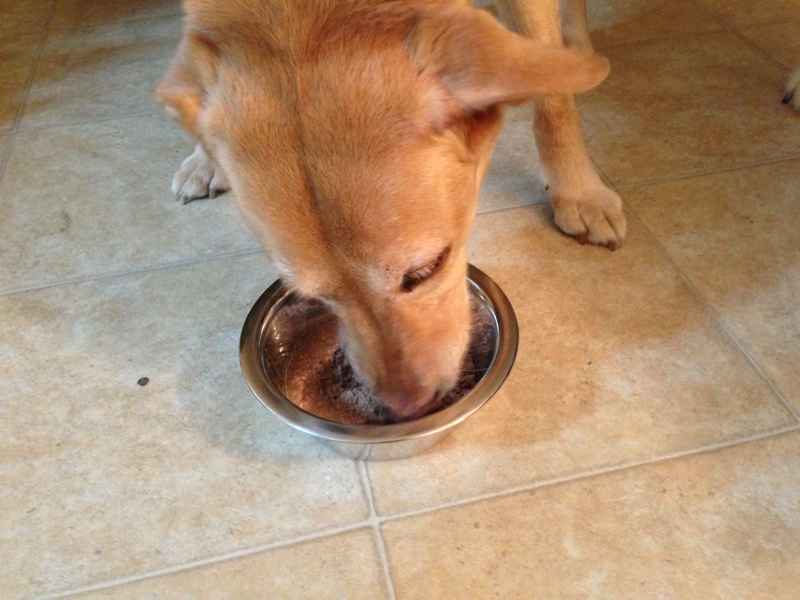 If your dogs can eat poultry they have other flavor choices. Same with eco food for hoomins here, it’s so far away to get it! Would help if they made it readily available for all. Then again i’m not sure everyone would be as openminded about you when it comes to trying anyway 🙂 even if it was in front of their nose. Offering them as treats would be nice though! A lady was buying random bread the other day, told her I loved the eco bread we bake. She bought that. And so it spreaaads! I think you make a good point. Opening ourselves to trying something new brings many unexpected surprises!!! This is very interesting! I have been wheat-free for a couple of days now as an experiment. Woof! Wheat, corn and poultry are 3 fairly common allergens for dogs, yet finding food choices without these ingredients isn’t easy. All varieties show Carrageenan as an ingredient-a somewhat controversial ingredient. I’m glad that Jen found a good product for DeDe!!! I hope that thses grain-free products would be less expensive for animals who have been suffering from food allergy. Well with such a high content of meat, a higher price is to be expected. You do get what you pay for. Usually when we eat, I wait until DeDe finishes her food before I start eating mine. But with this food, I was finished before DeDe was! I’ll have to check it out since the 10oz canned cat food I’ve been buying just went to $33 for a case of 12. Outrageous! You can check out their website to find a retailer in your area. We’ve never tried them, but they sound pretty delicious! Poultry free – that’s what Beary’s tummy likes best! My Berners have to be on a special diet, too. So glad to read about this food. Thanks Rumpy!